Barely 12 hours after releasing its first look during the Super Bowl, Solo: A Star Wars Story unveiled its full teaser trailer on Good Morning America. "I've been running scams on the streets since I was 10," Han says. He races a landspeeder with a bewildered Qi'ra next to him. This would seem to suggest that he's known Qi'ra since his youth; it almost looks like they're on a date gone awry. But she looks more excited than terrified by his antics. Hanging between them are Han's gold dice, a hallmark of the Falcon's cockpit and a significant prop in The Last Jedi. 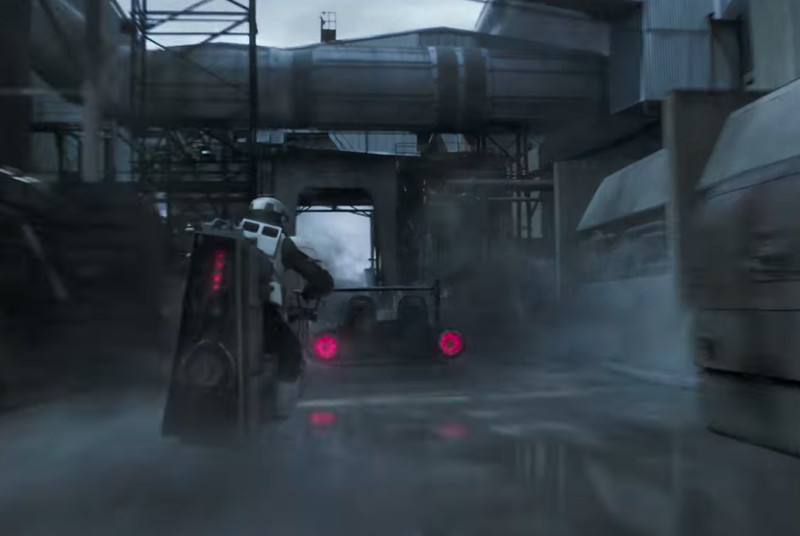 A stormtrooper gives chase on a speeder bike but Han sends him crashing. "I was kicked out of the flight academy for having a mind of my own," he explains sarcastically. While the Super Bowl spot highlighted Han's recruitment to the Empire, this one brushes it off with one sentence. Han and Qi'ra walk through a vast desert. "Hey kid, I'm putting together a crew," Tobias Beckett tells him. Here we go. 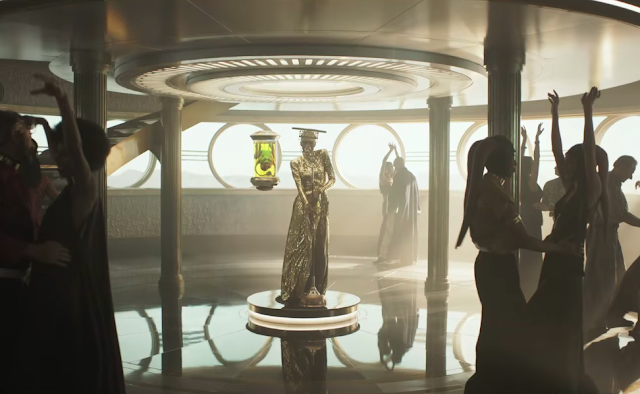 This is where the "heist movie" theme kicks in, not unlike the way the second Rogue One trailer introduced us to an array of exotic, dangerous characters. 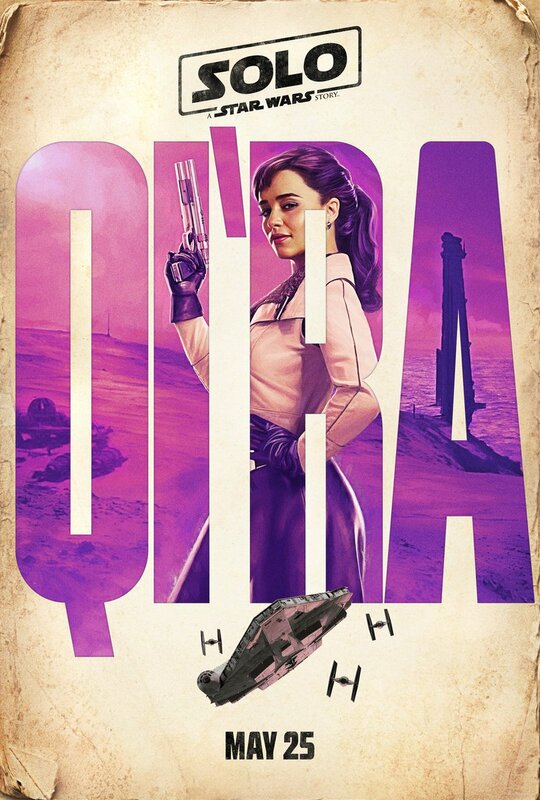 Qi'ra and L3-37 walk into smoke from the Falcon's landing ramp. 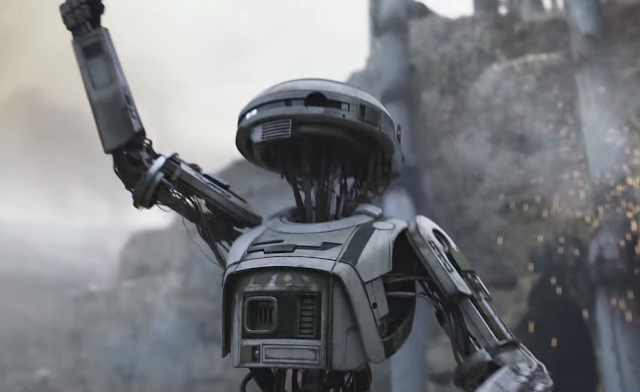 A Lucasfilm press release today confirmed this to be the name of Phoebe Waller-Bridge's droid character. 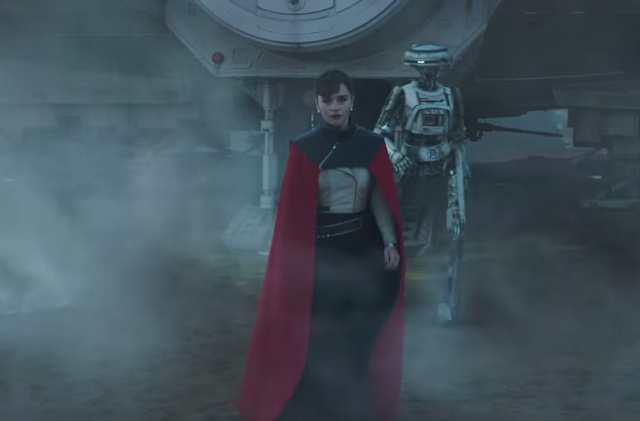 If Qi'ra was going on joy rides with Han on Corellia then she must have come from meager beginnings, so this cape might be an elaborate getup as part of their mission. 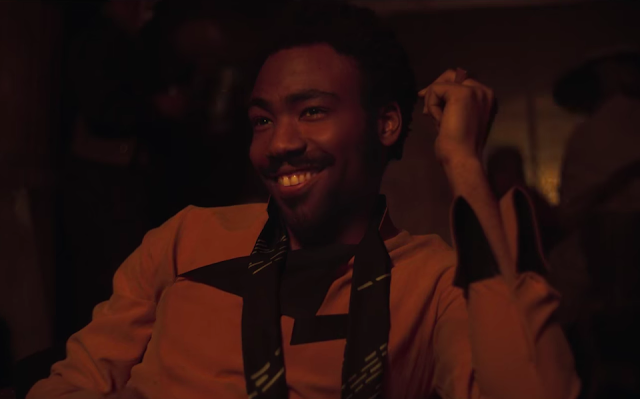 Lando Calrissian smirks. That pose, that smile...yep, Donald Glover is gonna make Billy Dee Williams proud. 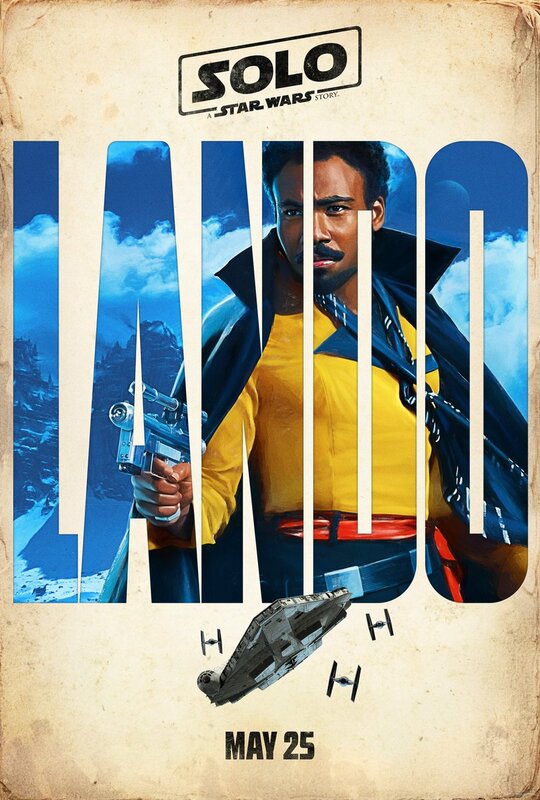 We're meant to believe that Lando and Han first meet through Beckett, though the real story might be a little more complicated. A small, four-legged creature sits in a pilot's seat. Okay, we have no idea who this is, but it's nice that this crew will be almost as diverse as Rogue One's main team. 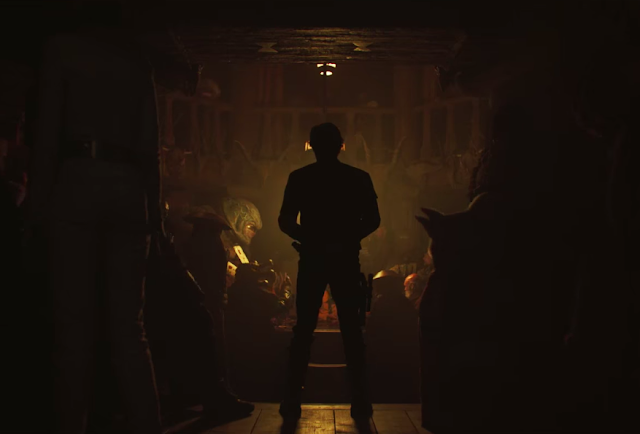 Han is silhouetted in a bar. This is more like his type of place, a cantina that looks straight out of the Wild West, not the fancy establishment seen in the Super Bowl spot (and later in this trailer). "You in?" Beckett asks. Chewbacca growls. "That's yes," Han says. 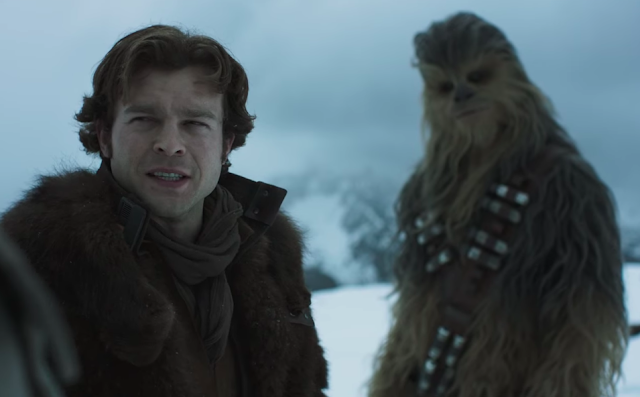 We know that Solo will show us how Han and Chewie first met, so it's interesting that at this point, they're already friends and Han's learned his language. 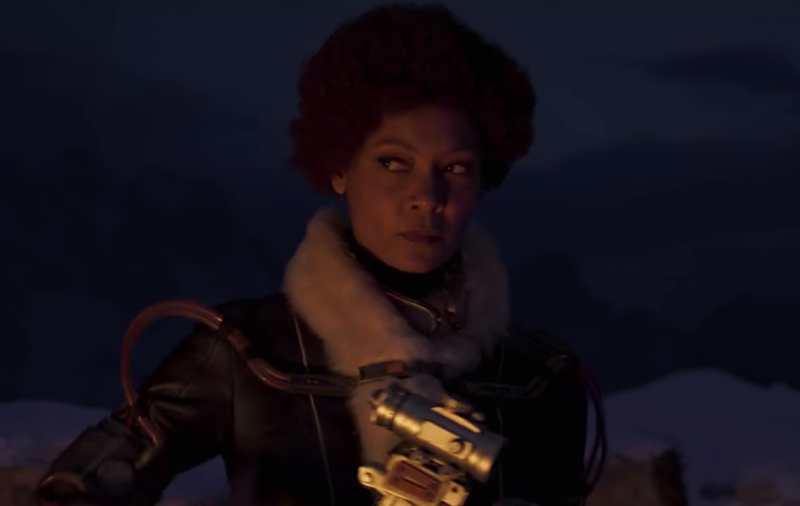 This would also seem to suggest that the team heist doesn't start until the second or third act of the movie, with Han and Chewie meeting towards the beginning. Lando and L3-37 salute each other and together send the Falcon into hyperspace. This is a little hint at L3's personality (or at least, the human mannerisms Lando teaches it). 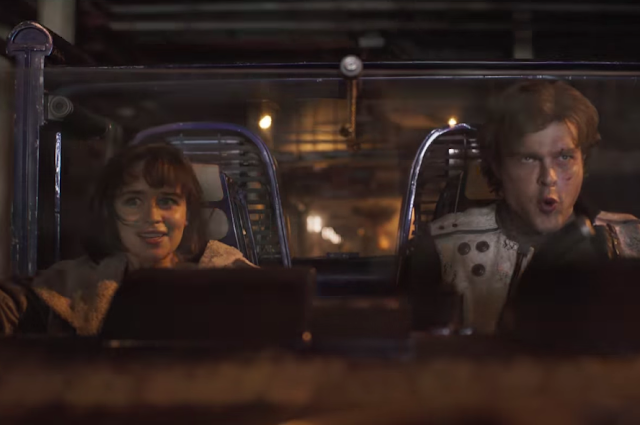 It's interesting to see Han in the Falcon's backseat for once. 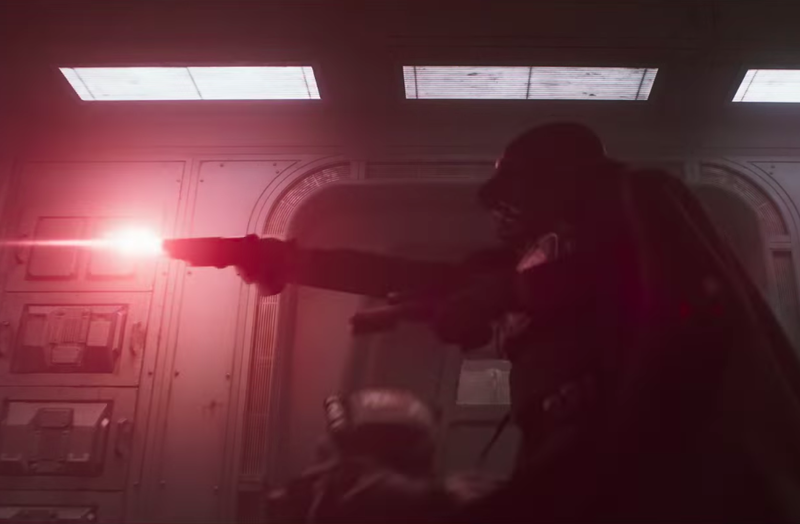 Han readies his blaster in a standoff with a squad of thugs, led by a masked figure with a staff. 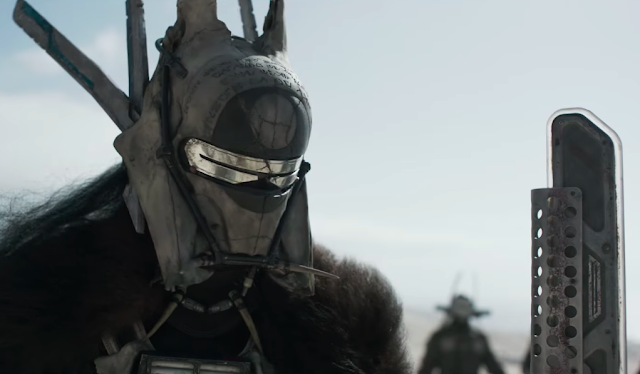 We saw this guy battling Beckett in the Super Bowl spot, so it looks like he'll be joining the ranks of Darth Vader, Boba Fett, and Captain Phasma as another mysterious masked villain. A dark, helmeted figure with a cape rapidly dispatches two masked beings. Another mystery guy, this time giving off serious Darth Vader vibes. Maybe he's deliberately dressing like the legendary Sith Lord in order to strike fear into the hearts of his enemies. Han pulls a lever. 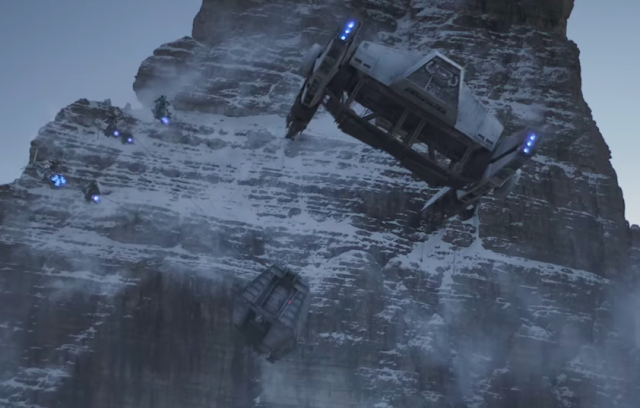 A freighter and several small speeder bikes fly in a snowy mountain range. The huge crate underneath them matches the cargo boxes on the train seen in the Super Bowl spot. If you look closely there's wires tying it to the bikes, so this definitely looks like the climax of a train heist. "What's that?" 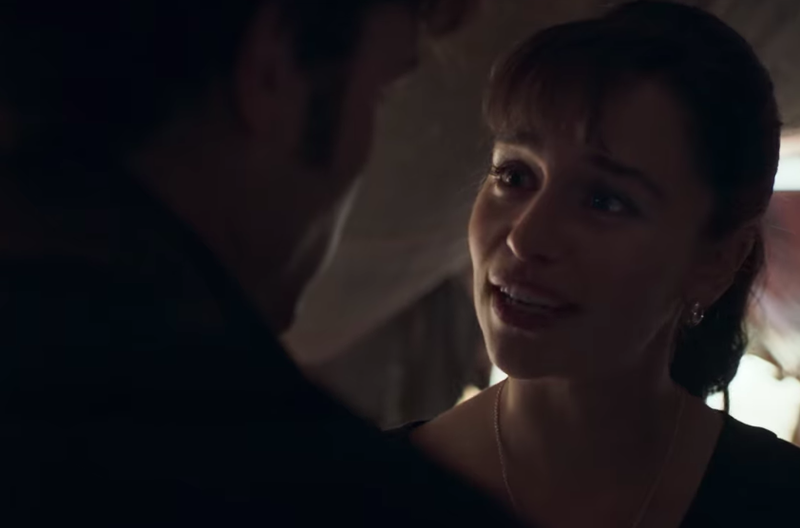 Han replies to Qi'ra with a grin. 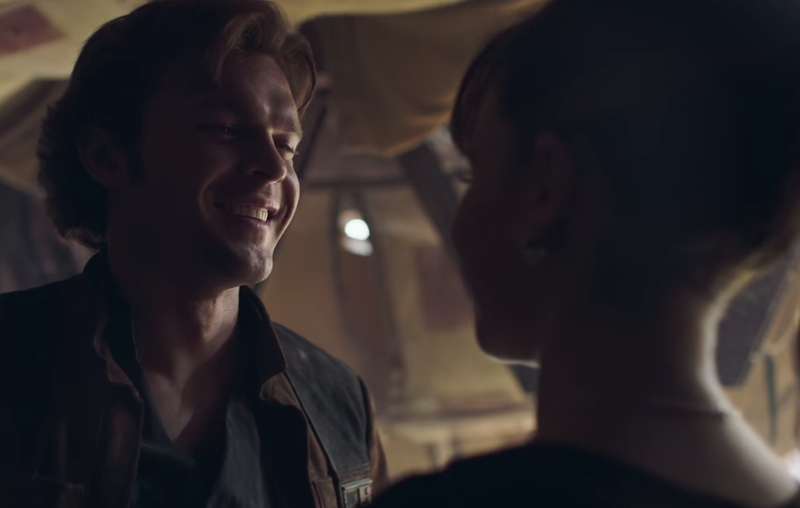 This is our best look yet at how Alden Ehrenreich captures Han's cocky and flirtatious attitude. Here, it's a defense mechanism in response to the one person who understands his true vulnerability. 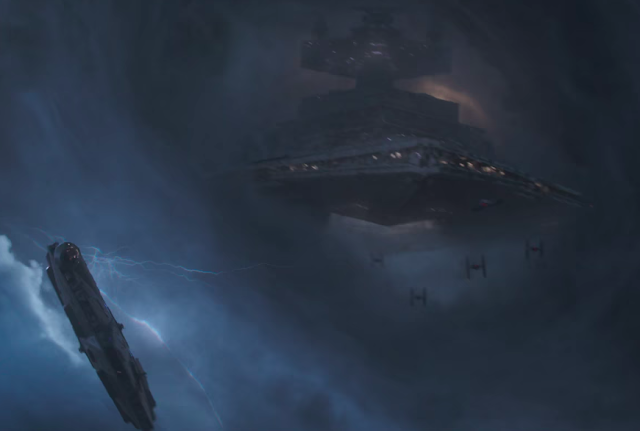 The Falcon is pursued by TIE fighters and a Star Destroyer in a stormy vortex. 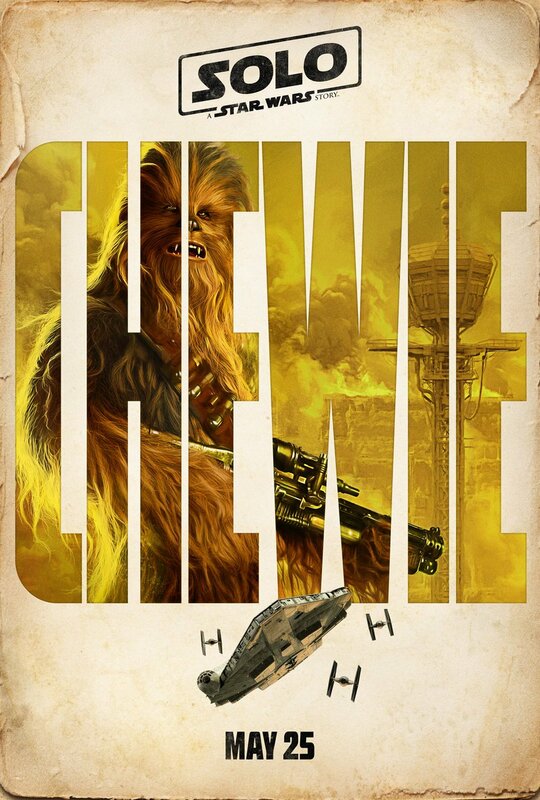 "Get ready," Han tells Chewie, Lando, Beckett, and Qi'ra, before tipping the side of the ship to knock a TIE into an asteroid. 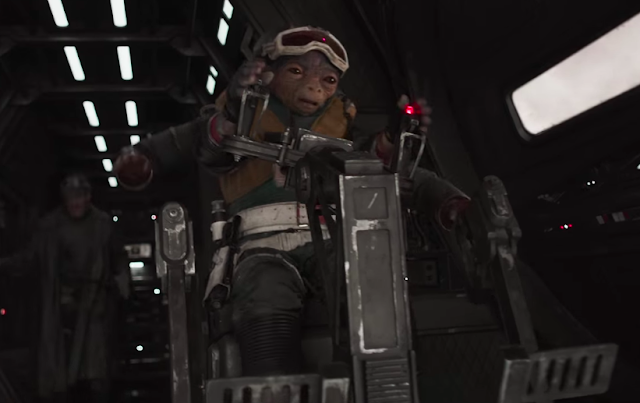 Nothing like a trademark Han Solo piloting stunt. 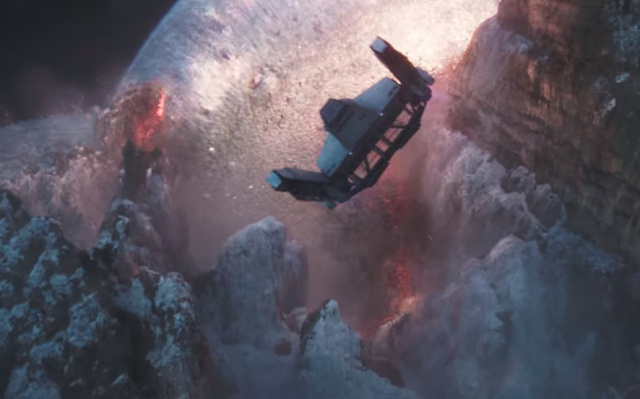 This definitely looks like a climactic sequence, meaning it could be part of the Kessel Run itself. "Thought we were in trouble there for a second but it's fine, we're fine," Han assures them. The crew suddenly freaks out as gigantic electric tentacles fly past the ship. 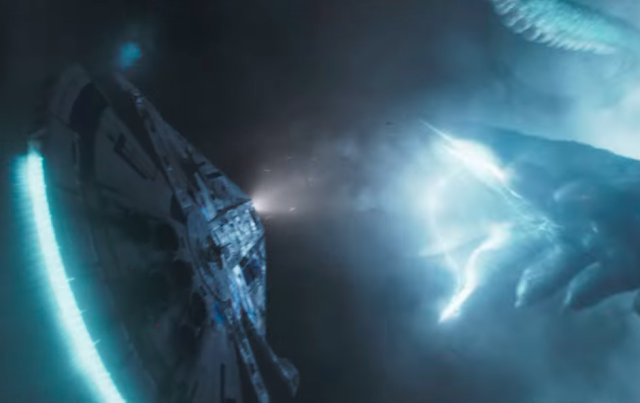 Lightning, wind, asteroids, the Empire, and now an electric space octopus? 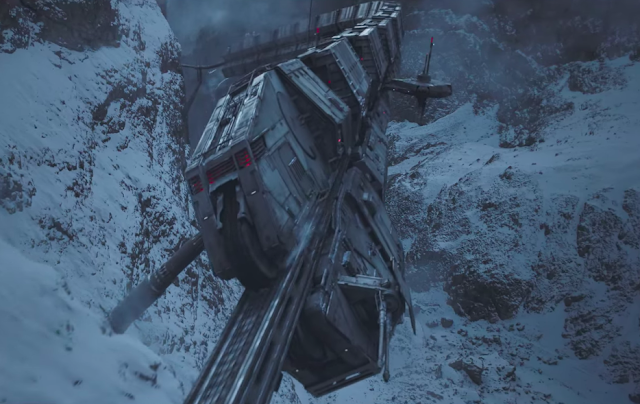 If this were the Kessel Run, it would certainly make sense why it has a reputation for being so dangerous. Yeah, this was a big step up from the Super Bowl spot. 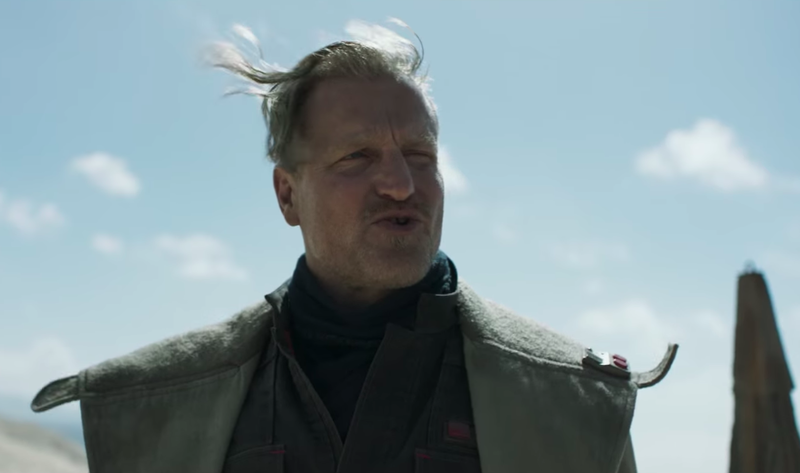 This trailer gave us some basic plot details, first looks at most of the characters, and a much better look at Ehrenreich's performance. 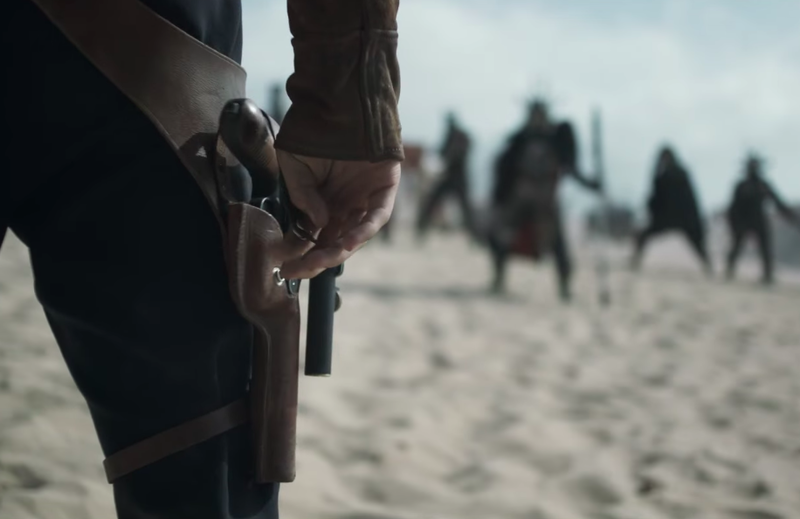 Whether or not you approve of his take on Han Solo – for many, Harrison Ford's is the only one they'll recognize – you can't deny that the supporting characters all look great. 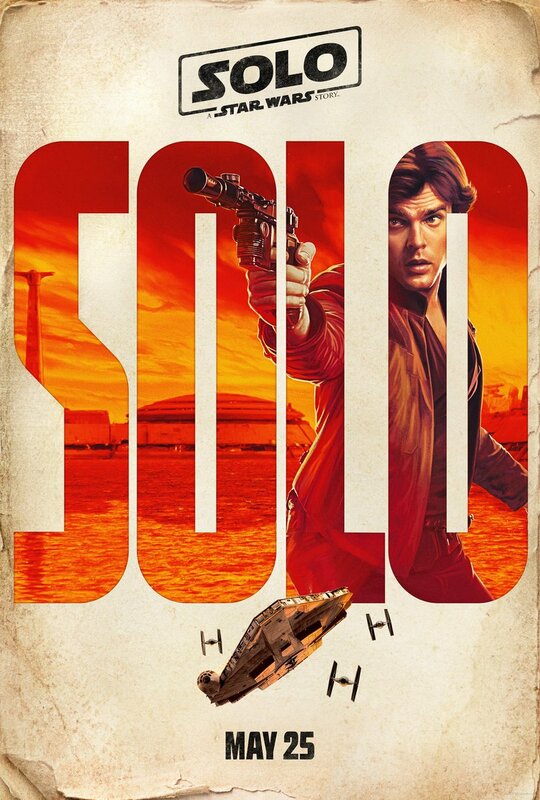 It's also refreshing that Solo seems to be embracing its irrelevance in the greater scheme of the Star Wars universe. 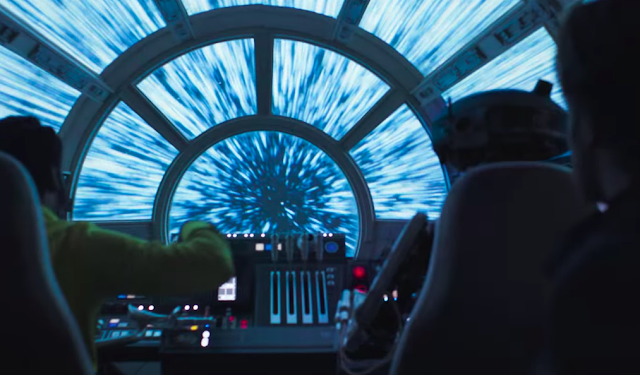 It's not pretending like Han, Chewie or Lando aren't 100% guaranteed to make it out alive, or that it'll have any effect on the story we really care about – that of the Sequel Trilogy – or that it's even filling in a truly necessary plot hole. This is just a fun action-heist movie with a few iconic characters and several new ones. What did you think of this trailer? What do you think Han Solo really is? Tell me in the comments or tweet to @SithObserver, and may the Force be with you all.